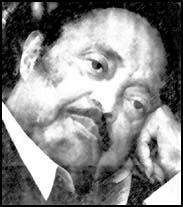 Hosea Williams, the son of blind African American parents, was born in Attapulgus, Georgia, on 5th January, 1926. After the death of his mother, Williams was raised by his grandparents. At the age of 13 he was nearly lynched by a white mob after becoming friendly with a local white girl. Williams worked as a cleaner, caretaker and farmworker before joining the United States Army during the Second World War. He went with the Third Army to Europe and was the only survivor of a 13-man platoon hit by a shell in France. While being taking to hospital the ambulance was also hit and once again he was the only survivor. Williams remained in hospital for 13 months and was permanently disabled and had to walk for the rest of his life with a stick. Soon after leaving hospital Williams was badly beaten by a group of whites after drinking from the only water fountain in a segregated bus station. He was so badly injured that doctors at the veterans hospital where he was taken predicted he would die. This marked the beginning of his involvement in the Civil Rights movement and after leaving hospital he joined the National Association for the Advancement of Coloured People (NAACP). Before the war Williams received only a brief formal education but the GI Bill of Rights allowed him to return to high school in 1947. He eventually studied at Morris Brown College and Atlanta University, before finding employment as a research chemist at the U.S. Department of Agriculture. Williams joined the Southern Christian Leadership Conference (SCLC) and in 1963 was recruited to the staff of Martin Luther King. He was active in the Freedom Summer voting registration campaign and was arrested on 124 occasions. King once described Williams as "My wild man, my Castro". With John Lewis, Williams led the Selma to Montgomery protest march on 7th March, 1965, that was attacked by mounted police. The sight of state troopers using nightsticks and tear gas was filmed by television cameras and the event became known as Bloody Sunday. Williams was with Martin Luther King when he was assassinated on 4th April, 1968. Williams was elected to Georgia General Council in 1974 and controversially endorsed Ronald Reagan for president in 1980. After becoming a member of the Atlanta City Council, he led a march in Forsyth County, which resulted in a violent confrontation with the Ku Klux Klan in 1987. Two years later, Williams failed in his bid to be elected mayor of Atlanta. Hosea Williams died in Atlanta on 16th November, 2000.